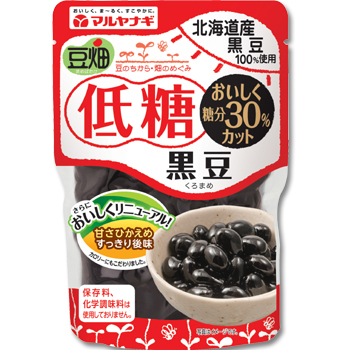 Steamed Bean Snack - Steamed Organic Beans Products. It's good for Vegan too! Home » Food & Beverage » Healthy Foods & Organic Foods » Steamed Bean Snack – Steamed Organic Beans Products. Good for Vegan too! 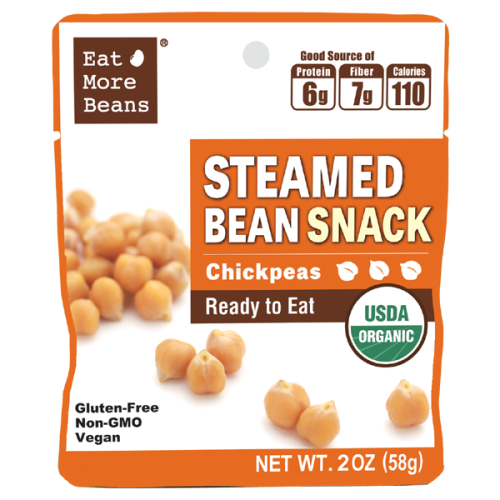 Steamed Bean Snack – Steamed Organic Beans Products. Good for Vegan too! 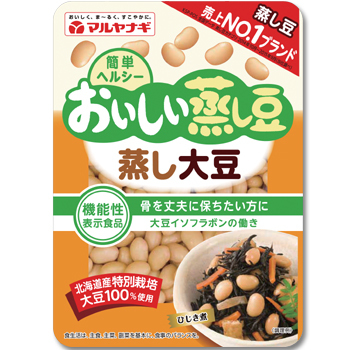 Company Name: Maruyanagi Foods Inc.
“Steamed Bean Snack” is steamed, not boiled. Steaming makes our beans naturally flavorful and nutritious. So you can enjoy it as snack, or mixed in our salad, soup and more! How to eat? Simply take off the package! 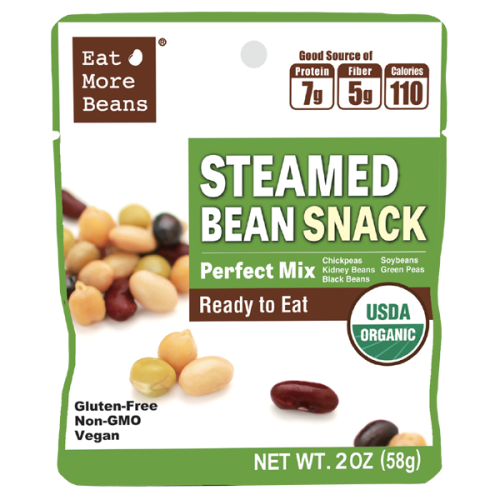 Step up your game by adding Steamed Bean Snack- Perfect Mix to your salad or your soup! Delicious and Convenience Snack. Ready to eat at anytime. Great addition to salad or soup. 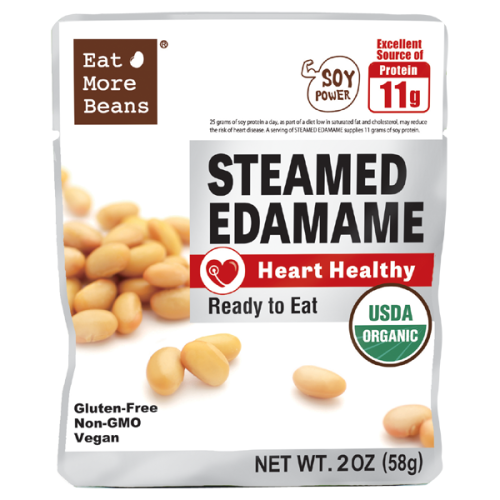 Steamed Edamame – A Heart Healthy Product! Steamed Edamame! A Delicious, Healthy and Quick Snack! 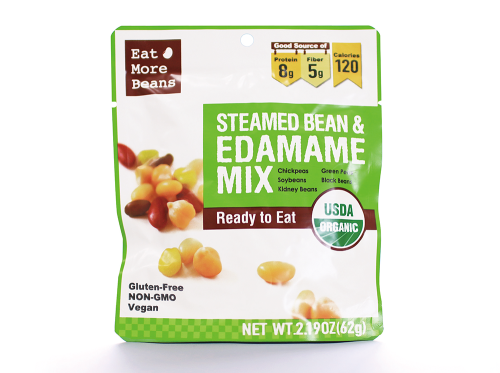 Steamed Edamame is Organic, Gluten-Free, Non-GMO and Vegan with no preservatives. Great to add to your soup, salad or just a quick snack on-the-go. It’s healthy and delicious, because beans are steamed. The difference in nutritional value between boiling and steaming is clear. The boiling process dissolved important nutrients such as proteins and isoflavones. Conversely the steaming process allows for the water-soluble nutrients to remain in the beans. About Us – Eat More Beans For Your Health. “You are what you eat.” There is no wonder that beans are very healthy foods. But unfortunately, they are often provided in the state of being boiled in water. But in boiling, many nutrients are lost that is why it is not considered as healthy. The process “steaming” that we use instead, preserves the natural tastes of beans while maintaining optimal levels of nutrients. We think it is the desirable way to cook “a whole food”. 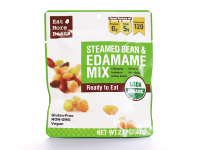 Watch Edamame Mix’s video here. Maruyanagi Foods Inc. exhibited to the Winter Fancy Food Show at Moscone Center in San Francisco, and showcased “EDAMAME MIX”. May visors visited their booth and tried to eat the Steamed Bean & Edamame Mix product. The Winter Fancy Food Show in San Francisco is the West Coast’s largest specialty food and beverage event. It displays a wide variety of innovative products and due to its interactive character it offers great opportunities to network with industry experts. Visitors can get new ideas and experience the latest cooking techniques by attending the numerous educational seminars, tastings and cooking demos. 2017 Winter Fancy Food Show took place on 3 days from Sunday, 22. January to Tuesday, 24. January 2017 in San Francisco. 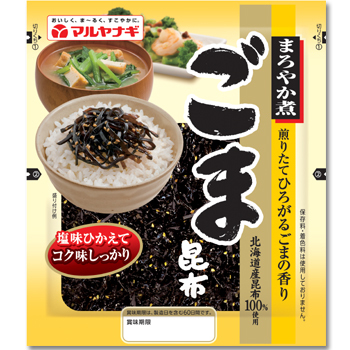 Maruyanagi Foods Inc. will attend to the Fancy Food Show at Moscone Center in San Francisco. Maruyanagi Foods will be at this event to answer questions, provide information, and showcase “EDAMAME MIX” and other products available to our customers and vendors. Keep up to date with our latest news and information. The Winter Fancy Food Show in San Francisco is the West Coast’s largest specialty food and beverage event. It displays a wide variety of innovative products and due to its interactive character it offers great opportunities to network with industry experts. Visitors can get new ideas and experience the latest cooking techniques by attending the numerous educational seminars, tastings and cooking demos. As a special service you can take the opportunity to meet the Fancy Food Show exhibitors in prearranged ten-minute meetings the day before the show is opened. Finally, the event is accompanied by several awards ceremonies. The Winter Fancy Food Show will take place on 3 days from Sunday, 22. January to Tuesday, 24. January 2017 in San Francisco.